Are you ready? 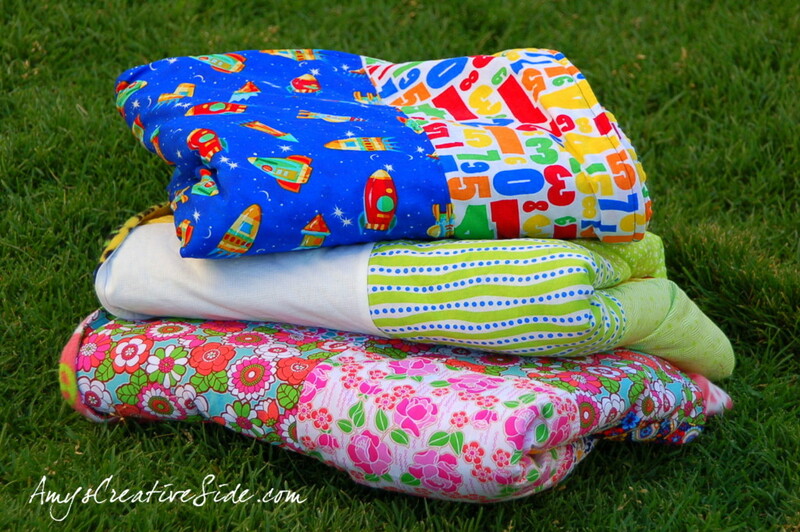 Yesterday afternoon, I spent some quality time sewing with all 4 of my kids! Usually I’ll work one on one with them as they are interested in helping, everyone wanted in yesterday! My favorite place to start, is with floss and a hoop! 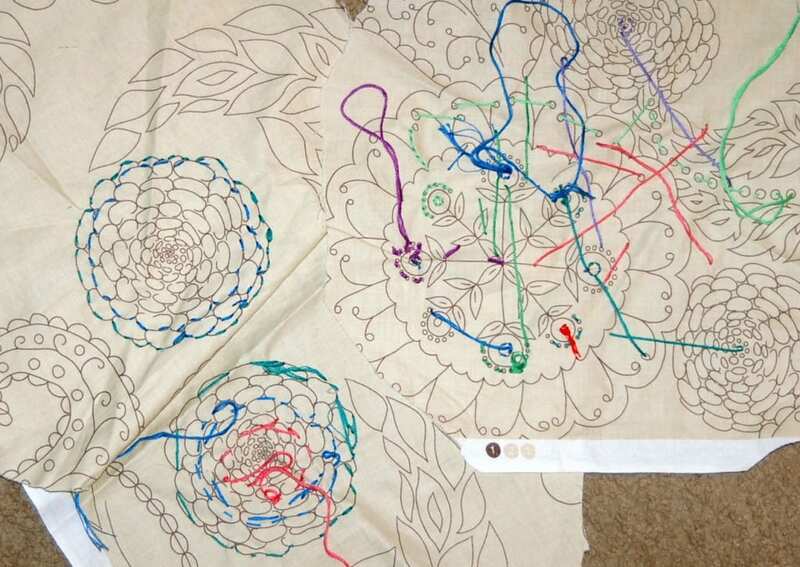 It’s like coloring with thread – fun! 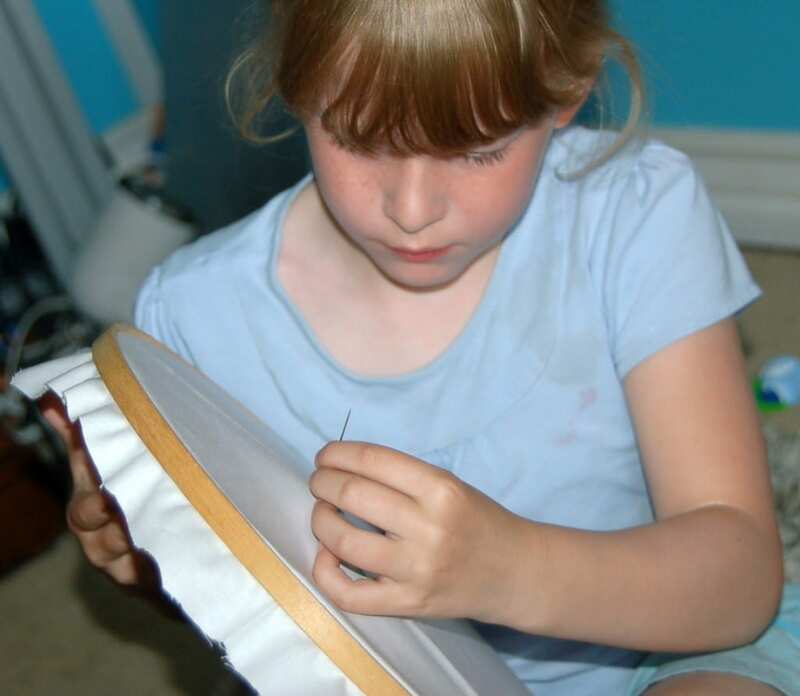 The girls have all had a chance to work a hoop and needle before, so they had an idea of what they wanted to do. Owen, while young had a lot of fun pushing and pulling the needle, while I re-threaded the needle countless times. 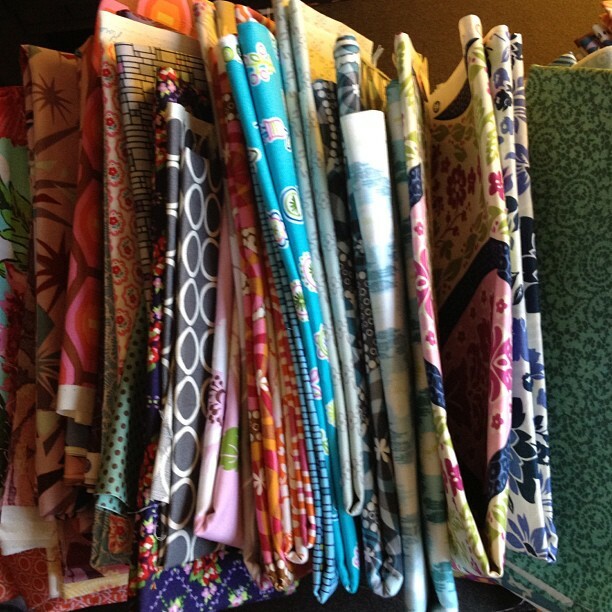 To begin, I had a selection of fabrics, and floss that they could choose from. And since I had all four kids, I started with the youngest first, to keep him busy! With the girls, I took a few minutes to show them a backstitch, the fun lazy diasy, and when asked for a dot, I showed Emmalie a french knot. You can see that a couple of them decided to follow the pattern in the fabric. A fun option! Sophia made a smiley face, and puppy face (r). Her stitches were tiny, and she loved every moment! Her name is going around the perimeter of her flower, with a smiley face. Ella also had a vision, and you can see where Emmalie found her inspiration — she loves her big sister! So the moral of the story…gather a few supplies, and let the little people in your life create too! It’s a fun way to start, no matter how old, or skill set. Just be ready to thread the needle a few times! Are you pulling your supplies out yet? Can’t wait to see what you and yours create! So fun! 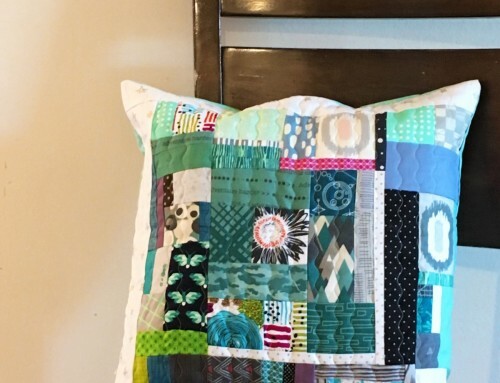 Can’t wait till mine is a little older so she can actually do sewing. I usually give her jobs like “throw these out” or “fold this fabric” at this point. Love what your kids made. Thank you for the encouragement to craft with my boys. very fun! 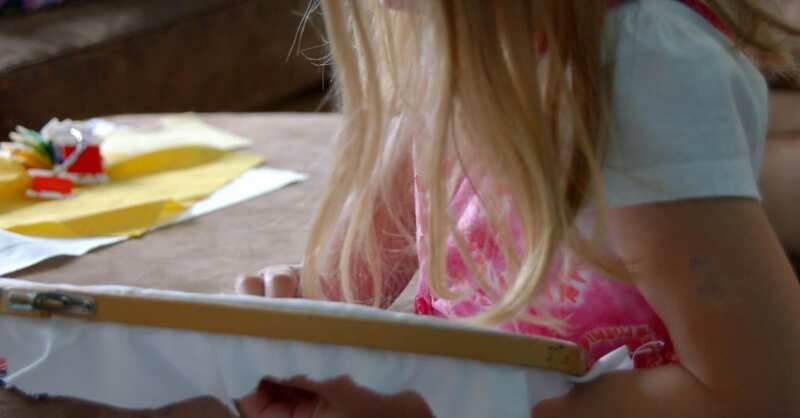 kids are so great at crafting because they don’t have as many inhibitions as adults. they just get in there and do it! This is great…I have a three year old and didn’t know what kind of craft she would be able to do…she can try her hand at embroidery today! Thanks! Your children are beautiful, Amy! Thanks for sharing this and showing us that they’ve all got what it takes! Thanks for the idea! My 6 year old nephew loves watching me sew and asks a zillion questions about what I am doing. Maybe I will try this next time he is over. Thanks for the idea, Amy. 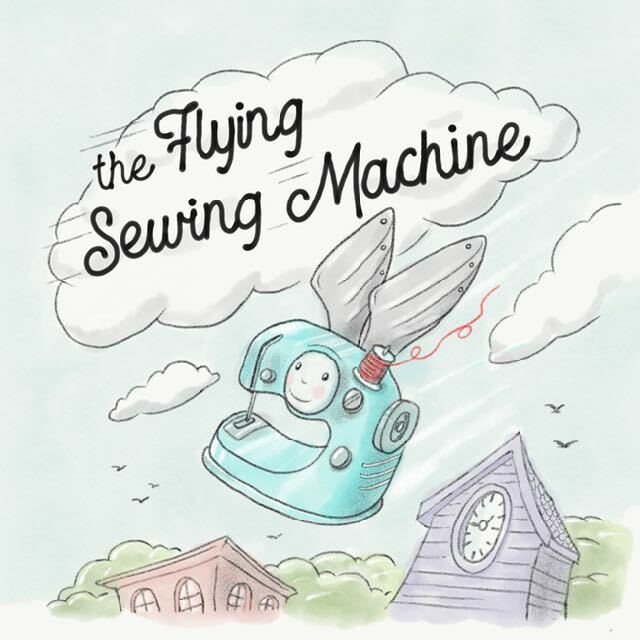 I’ve got my 5-year old granddaughter for a week next month, and was really hoping to teach her how to use the sewing machine. But I’m clueless as to how to “play” with her doing that. I’ve got some small kiddie sewing machines I picked up, that actually work, and had hoped I could get her interested. She has ADD/ADHD and is on medication, so it may be that I never get her interested in this. Maybe embroidery is better. 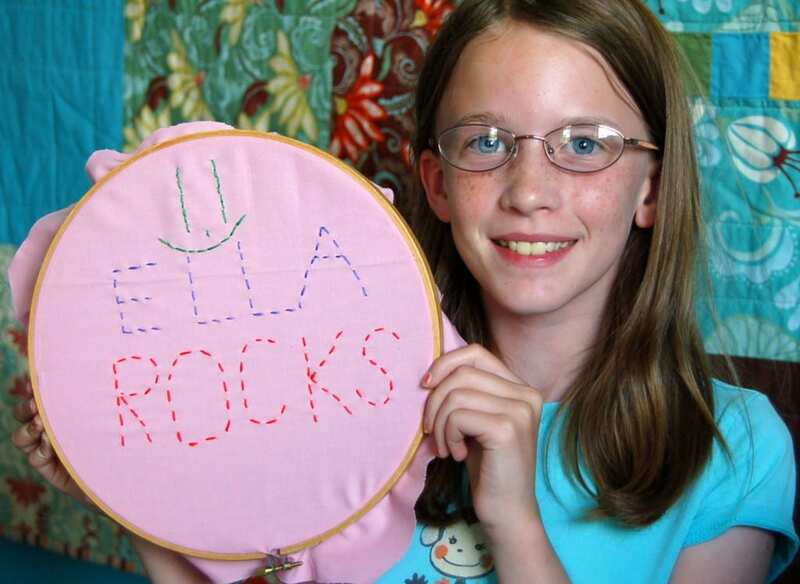 Just too bad I don’t embroider. But I sure can go find some sort of embroidery she can be interested in. How fun, I love all the colors and the smiles on their faces—you rock Mom!!! That looks like they had a fun day. 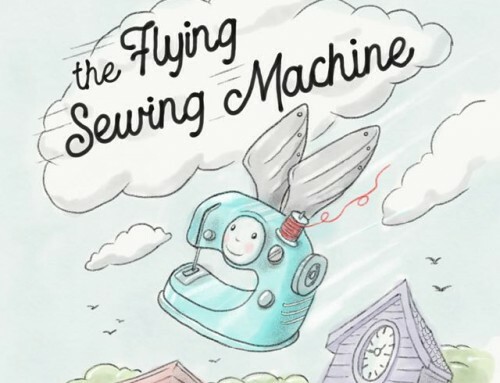 I have done this with my kids and found that an overhand knot at the base of the needle’s eye held the thread and the needle would still go through the fabric AND I didn’t have to rethread the needle so many times. Yesterday I stopped in at JoAnn’s and it was very obvious that school is out ;-) Children were tagging along with their Mom’s and making the best of their boring situation. Kids are awesome artist…I always wish that I could tap into my “child” when confronted with a project…lol! Lovely article, Amy. 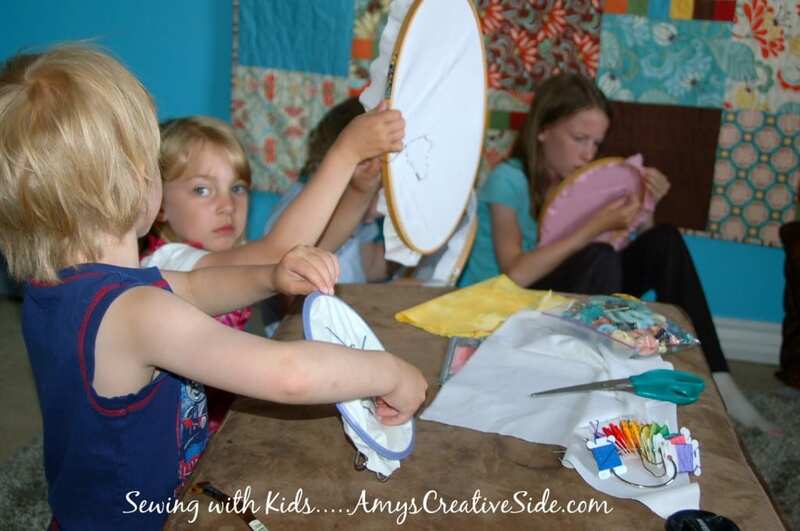 What will you do with the sewing when they’re finished? Wonderful! They all did such a great job at having fun and learning in the process!! Cute!!!!!!! i love them all! Owen looks so much old between Christmas and now!!! You baby boy is growing up! 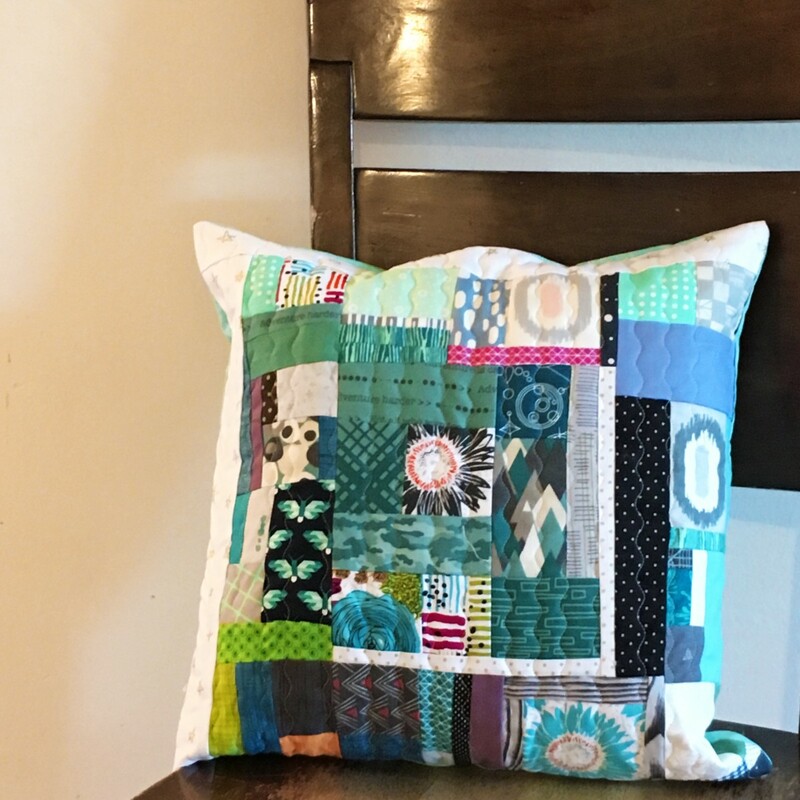 Great stitching fun!!! A quick suggestion that may or may not help. 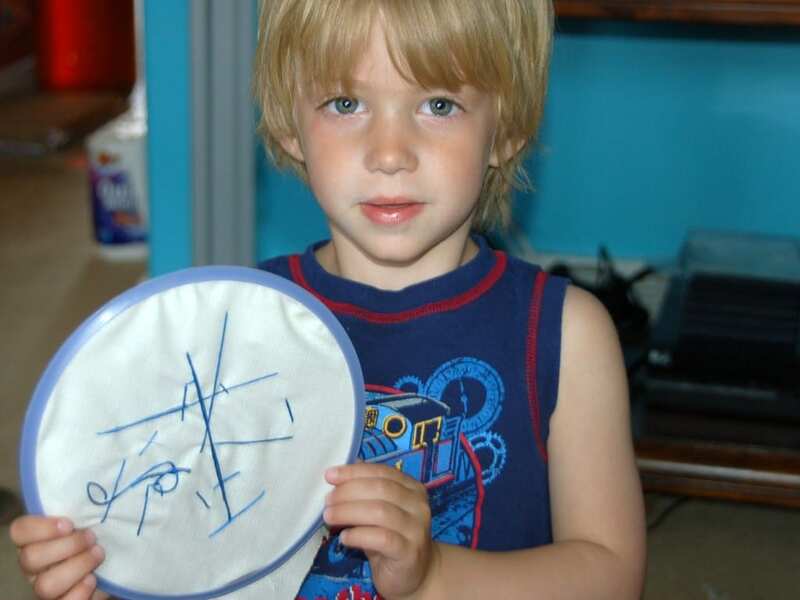 Try making the thread a doubled over piece with both ends knoted so the needle cant fall off for owen. Great job – that looks fun, Amy! 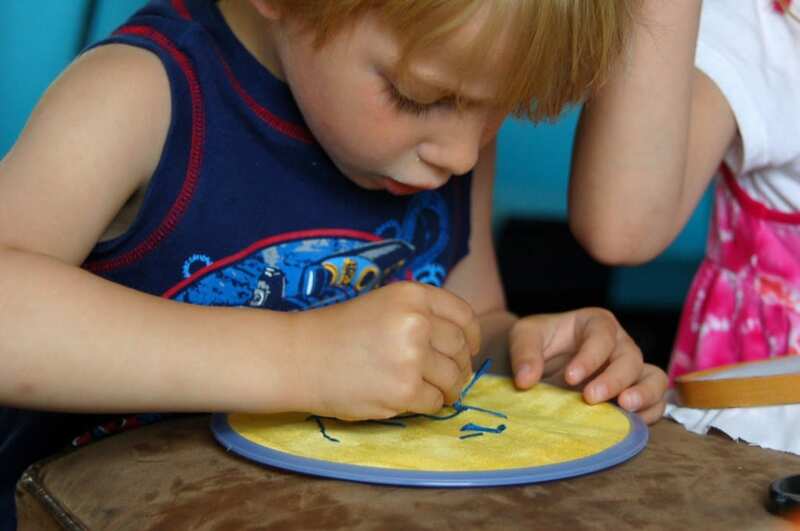 Crafty kids never get bored, either! I guess that means I’m ahead of the game since we started with embroidery and a hoop a couple of weeks ago. Perfect! That means mine just have to finish their pictures! How cute! 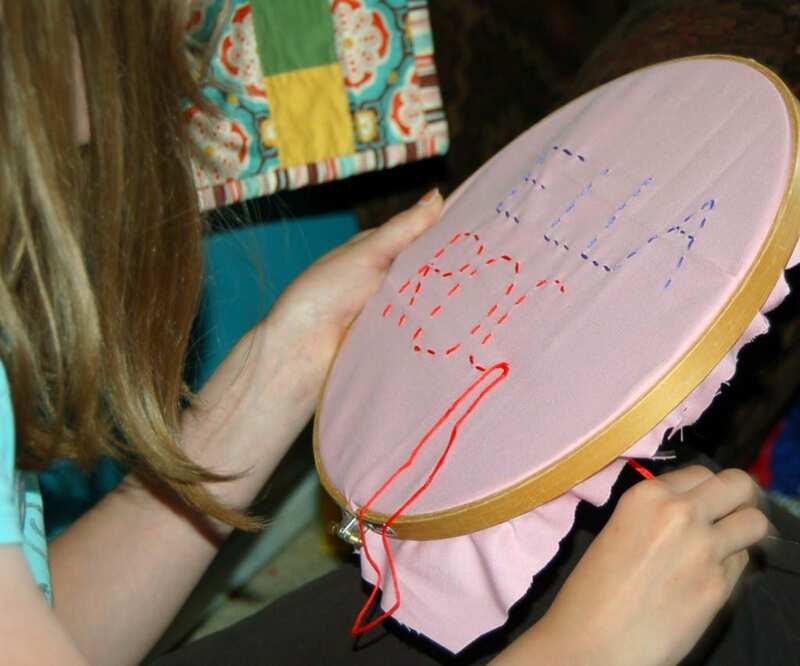 I can’t wait until my daughter is old enough to sew with. This is a fun idea. 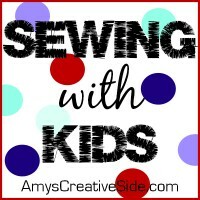 I used plastic canvas and yarn with my kids but didn’t think of fabric and floss. Your kids are really cute. What a treat. 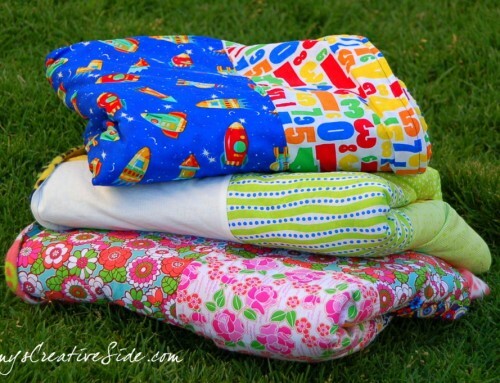 I have the plastic canvas and yarn too, but this looks totally do-able, even for little ones. They all had fun and that’s the most important part! My girls are grown but I got a cousin who wants someone to work with her little girl! I’m looking forward to it :o) I’ve got a smile on my face just thinking about it! Thanks for sharing ideas. 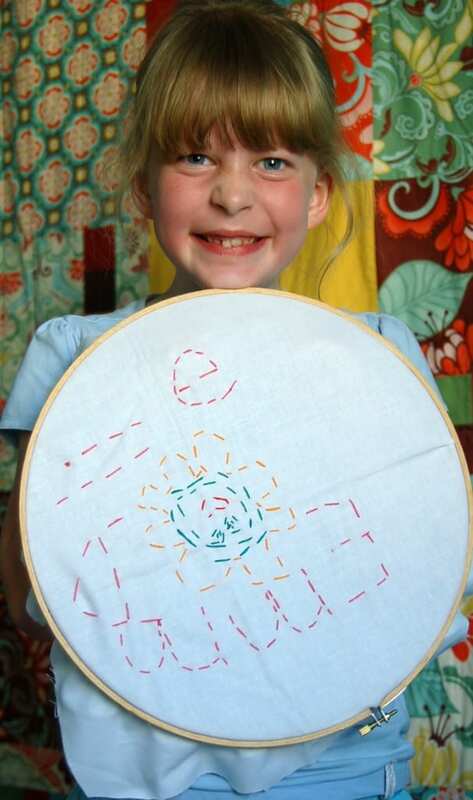 I think I’ll start my 3 1/2-year old granddaughter on some embroidery next week – I bet she’ll take to it like a duck to water! Thanks for sharing!! My three year old loved it! Thanks for the chance to introduce her to more than coloring and cutting things up! Love it! 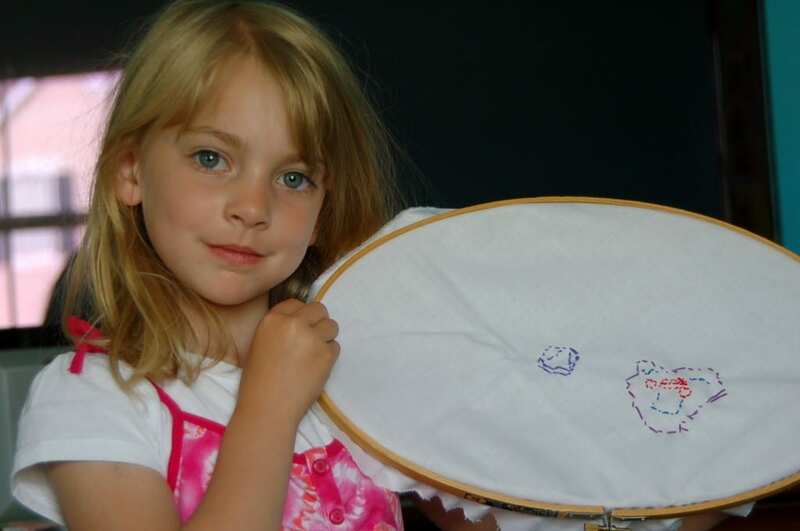 Mine are a little older…but my daughter has really taken to cross stitch this summer! These are lovely photos of your children. And, what a neat way to spend quality time with them! Off to see week 2.